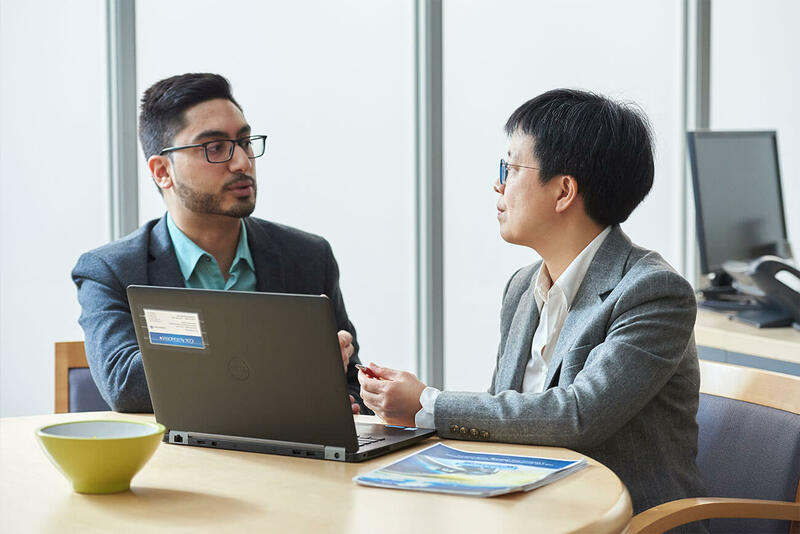 At Cox Automotive Canada we believe that bold action and staying true to our values has enabled us to create a high performance culture and a thriving business as an industry leader. At Cox Automotive, we understand that every individual is an integral part of our business. Without them, we would not be the world-class organization that we have grown to be. This section profiles various Canadian team members who help to make us who we are. "The results achieved by my team are tangible. Thousands of dealerships interact with our Dealertrack software on a daily basis." "At CAC, I feel I have the flexibility to subtly shape my job in a way that I can to play to my strengths, while also improving both my personal satisfaction and my professional performance." "I love that I always have something new to learn. The software business is fast-paced and sophisticated; something that changes on a daily basis." We believe in pushing the boundaries of what’s possible and we want you to help us do it. At Cox you don’t just have a job, you have the opportunity to grow and advance across many dynamic industries. Your Career is yours to invent. We believe employees are our most important resource. They are our first line to our clients and our brightest innovators; they drive change and build solutions. For this reason we make it our mission to create environments that nurture development, promote diversity and inclusion and celebrate our people. Our employees are transforming the way the world buys, sells and owns cars. We’ve built the strongest portfolio in the industry with 10 brands and growing, providing industry-leading digital marketing, software, financial, wholesale and e-commerce solutions for the entire automotive ecosystem. We offer flexible career paths, across all brands. Our High Performance Culture encourages and empowers employees to consistently achieve personal and professional excellence by encouraging continuous improvement and rewarding superior performance. We are committed to having a diverse work force and we champion a culture that works together to positively impact the communities where we live work and play. Our Global Reach starts locally; whether you are a Mechanic in Alberta or a Software Architect in Toronto, we have a place for you at Cox Automotive. We are looking for the best and the brightest to come join the team that is driving the market forward. Check out some of our Canadian opportunities across a wide variety of fields. We value the health and financial well-being of your family and aim to provide a variety of programs to help you plan for today and the years to come through our comprehensive and competitive benefits package. Stay up to date with Cox Automotive Canada. Receive news and press releases, market reports, insights, and special promotions from the Cox Automotive Canada brands directly to your inbox.